I have a couple of bins of pumpkin decorations – some are specific to Halloween and some can stick around through Thanksgiving. 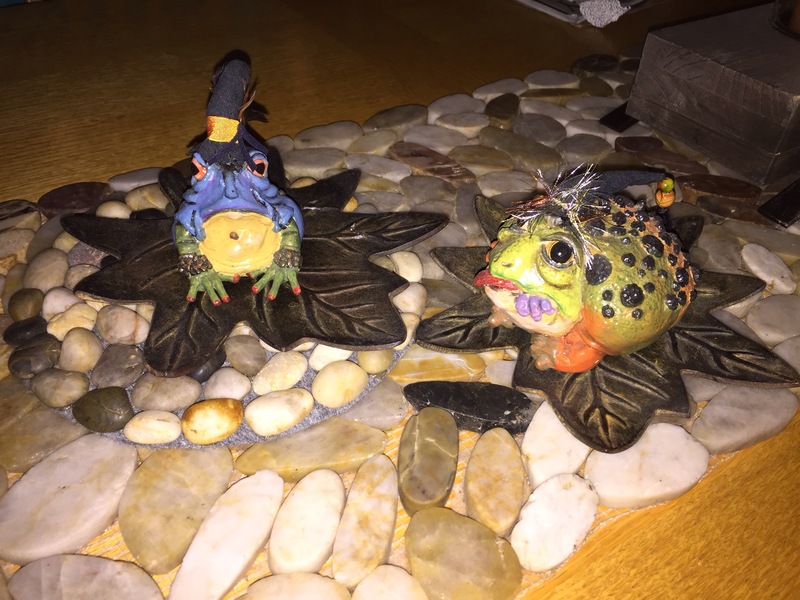 These witchy frogs are usually on the mantle but this year I decided to put them on my leaf-candle-plates as though they were on lily pads. I really liked it! They’ll be going back to this spot next year.